“Define success on your own terms,” Anne Sweeney, the Co-Chair of Disney Media Networks once said. “Achieve it by your own rules, and build a life you’re proud of.” That is excellent advice for today’s modern female founders. Women face some unique challenges in the entrepreneurial world. Many are also doing it without a lot of resources at their disposal. Women can build great things on their own. They can build even more greatness when they have resources available to them. Women founders in the U.S. are some of the strongest, best-performing entrepreneurs that the world has even seen. 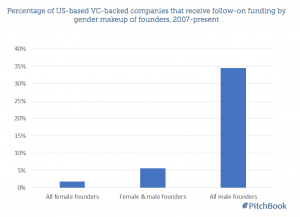 Inc. recently published some statistics about female founders which drive this point home. Women are starting companies at 1.5 times the average rate in the United States. Women who self-identify as entrepreneurs rank themselves as being 3 times happier as women who are not an establish business owner or entrepreneur. 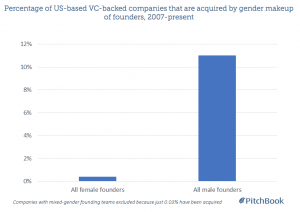 18% of all startups today have at least one female founder. More than 9 million companies are currently owned by women in the United States. 48% of female founders say that a lack of available advisers or mentors is holding them back, while 33% say that a lack of capital is an issue. Many organizations are creating resources which specially benefit female founders as a way to close the equality gap. Some resources are always going to be better than others. These are the ones that could only be classified as amazing to help you strive toward your goals. BOSS is an acronym which stands for “Bringing Out Successful Sisters.” It is a platform which focuses on networking, providing a membership platform for African-American women seeking out entrepreneurial opportunities. The goal of this organization is to promote the spirit of the entrepreneur in each woman while creating opportunities for professional development. You will find event-based networking, online networking, and a business directory to help you connect with like-minded professionals. In 2017, this organization also launched its inaugural Minority Women in Technology event to discuss tech-related entrepreneurial opportunities. Launched in 2014, this is an early-stage fund that looks to invest into the “power of exceptional female talent.” The fund looks to invest into female founders who are seeking to provide web-enabled services, e-commerce, B2B and B2C marketplaces, and disruptive platforms. 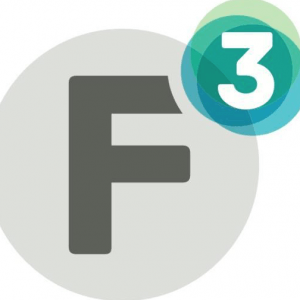 In May 2018, the Female Founders Fund II was launched, providing a $27 million institutional early-stage fund. The second fund is 5 times larger than the first, with many female founders investing into the ideas of other women. Supporters of the fund include Melinda Gates, Katrina Lake, and Hayley Barna. This resource looks to invest at the seed stage for teams that are diverse and based in Asia or the United States. Founded by Pocket Sun and Elizabeth Galbut, more than 50 startups have received support since its founding. Michelle Toh profiled these two women for Fortune Magazine in 2017. Sun said that she didn’t really see herself as an entrepreneur, much less a venture capitalist, when she started this journey. The Small Business Association (SBA) currently operates more than 100 Women’s Business centers throughout the United States. These centers have the mission to help female founders find ways to start, then build, their small businesses. Each center is fully operated by the Office of Women’s Business Ownership within the SBA. The goal of each Women’s Business Center is to create equality through the provision of resources and opportunities. Each location focuses on helping female entrepreneurs who may be socially or economically disadvantaged in some way, based on the current economics and circumstances found locally. 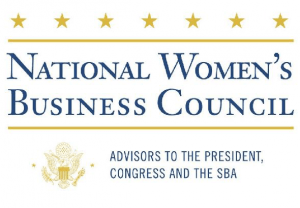 The SBA offers a local assistance guide, with the address of each Women’s Business Center in every state, to help you see if there are training and counseling opportunities close to you. 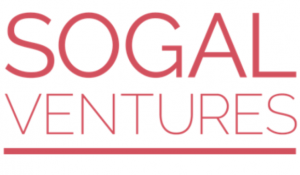 This non-profit organization looks to transform the passion and creativity of a female founder into a business that is profitable and sustainable. Founded by Maria Otero, Esq., the fund was launched in 1996 and offers advisory services, entrepreneurship counseling, workshops, and business loans to women-led organizations. They have a 6-point outline which works to help grow your business, which is outlined below. It begins with a clear roadmap for growth, including the ability to recognize new opportunities when they appear. Then they will help you learn what the financial requirements for your company happen to be, helping you be able to monitor your incoming and outgoing cash flows with better consistency. You are taught how to build, then manage your team to create customers which help to share what your business provides to others. Then you are taught how to create and preserve your competitive advantage, how to fund your grow realistically, and then how to create a network which will yield results for you. This is a network of female founders which offers a wide range of resources and services that can help you grow your next business opportunity. It is a community of women from around the world who share their insights and experiences to create a unique learning platform. Events are hosted by this organization throughout the year, though many are hosted in Colorado, near Denver and Boulder, where their headquarters is located. 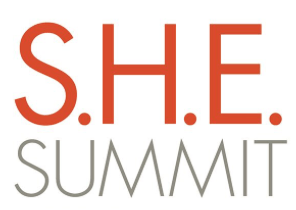 An annual summit is also held, featuring keynote speakers like Arieann DeFazio, the Founder and CEO of Kitables, and Lee Mayer, the co-founder and CEO of Havenly. This organization guides female founders through the startup pipeline. With a focus on African-American, Black, and Latinx women, you will find a very thorough 26-week incubator program to be an incredible resource to use. There are also networking events held regularly and an initiative called Project Diane which focuses on bringing women of color into technology-related entrepreneurship. Their success stories include more than 50 companies built, over $25 million in investments, and over 2,000 female founders reached. This resource follows a simple mantra: go big or go home. They wish to shatter the myth that women of color cannot be successful and they’re doing a great job at it. This association serves in an advisory role to the President, to Congress, and to the Small Business Association in the United States. 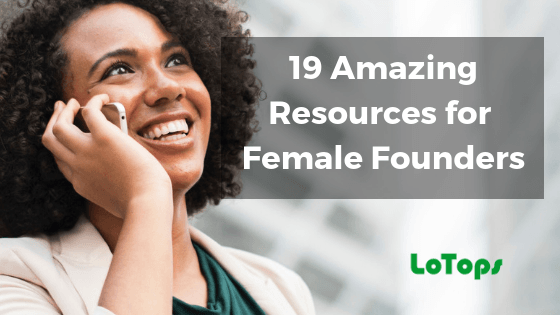 They link female founders to almost 200 different resources which may provide needed assistance. The NWBC categorizes each type of assistance into different menus to search. You will find alternative lender programs, business competitions, conferences, and much more from their primary Grow Her Business page. Although there are many listings to browse, you will find that several of the opportunities are not women-specific. You will want to review the listings found in your preferred category to ensure it will help you grow your business in an effective way. 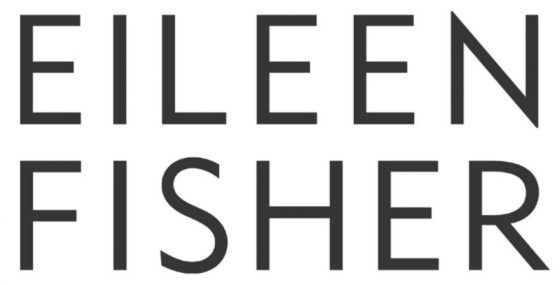 Hosted by Eileen Fisher, a clothing designer known for her design simplicity and inclusive spirit, this grant program supports women-owned companies which have progressed beyond the startup phase. The fund awards $100,000 in grants for up to 10 recipients each year. The minimum grant award, if selected, is $10,000. Grant recipients are also invited to spend 3 days in New York City for a shared learning experienced with the fashion community established by Fisher. Grants are typically awarded to businesses which have a high potential for making a positive impact socially or environmentally. The goal of this summit is to be the most accessible empowerment conference for women in the world today. By bringing together female founders, role models, success stories, and innovative strategies, a global women’s audience can work together to create campaigns which lead to even more success. Past speakers have included Sophia Bush, Reshma Saujani, and Gretchen Carlson. It has been hosted annually since 2012. Founded by Claudia Chan, each summit offers keynote speakers which offer common-sense advice to help women get started on their next idea. This conference is hosted by the Women Presidents’ Organization. If you are the president of your business, then you are encouraged to have your company join the WPO. This annual event encourages women to come together, share their experiences, and discuss potential business strategies with women from all over the world. There are no primary requirements for attending this conference, however, but you must register in advance to attend. The 21stannual conference held in 2017 was located in Los Angeles. Their 2018 International Summit was held in Lisbon. The benefit of being a potential member is that, if your business qualifies, the annual conference provides a special chance to experience the impact that the women of the WPO make on each other and the world, both personally and professionally. This resource provides women with an intensive 6-day executive development program which is certified by the Women’s Business Enterprise National Council (WBENC). The program will also take a look at the foundations of each business to help participating executives be able to find ways to add even more strength to them. You will look at cash flows, analyze business sheets, and work on improving your ability to communicate the vision you have for your business to the rest of your team. Participation in this executive program will also naturally strengthen your professional network. To participate in this program, your business must earn a minimum of $500,000 in annual revenues. You must have been operating your business for a minimum of 3 years as well, and your company must be in good standing as a member of the WBENC. This is an investment firm that is focused on women-led businesses. Since 2005, the company has invested more than $100 million into startups. To qualify for this opportunity, your business must have a scalable model which can be implemented. There must be a clear exit strategy present as well. The average company approved for funding receives more than $1 million to grow. They prefer businesses in the life sciences or consumer products categories. Certain industries are excluded. If approved, your business will gain instant access to an angel network that is 275 members strong. “Women entrepreneurs are often determined innovators who have the potential to scale their businesses and contribute to the economy in countless ways,” the company says in its vision statement. “However, ultimate success requires access to capital and influential networks to propel growth – the same qualities that build market-leading companies. This firm is an independent private-equity firm which provides growth capital to private companies, allowing owners to still maintain control and majority ownership. 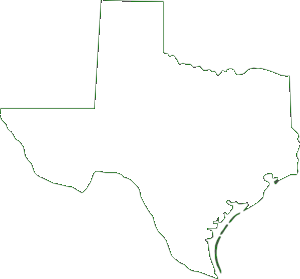 They focus on providing capital support to women-owned and women-led companies in Texas and the Southwest United States. Capital is provided through the Texas Women Ventures family of funds, which currently has more than $25 million under current management. To qualify for assistance, your company must have revenues between $10 million to $100 million annually. You must also be seeking a team of trusted advisors to help with your business in addition to the capital being sought. You must also be seeking a minimum of $1 million in growth capital, have solid management in place, and a positive cash flow. This resource for women is a 12-week program which helps to develop leadership skills to help you compete effectively. It is based in Westport, CT, so services and supports tend to be regionally based. Each program provides a seasonal emphasis that is designed to help boost your business. There are hands-on problem-solving workshops that are led by local industry experts. You’ll follow four tracks through the program, including leadership, sales and marketing, and team building. You’ll also get to participate in alumni events and pitch competitions as part of the program. Enrollment gives you access to over 80 investors, advisors, and mentors. Program participation is provided through warrants. There is even the potential to receive investing at the end of the program through the incubator. This program focuses on female founders with “high potential.” To be included with this protégé program, you must be nominated and screened by members of the Committee of 200. 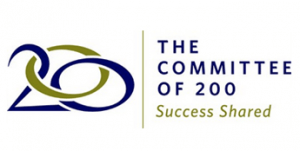 The C200 community represents one of the most powerful communities of women who have found success in the world of business. The companies represented by the C200 offer a combined $1.2 trillion in economic value, while employing more than 2.5 million people. Part of the initial qualification is to represent a business with revenues between $5 million to $15 million annually. Each member is then paired with a current C200 member, who will serve as your adviser and mentor over the next 2 years. There are 27 meetings in total which happen with this program, of which 4 must happen in person. You’ll also get the opportunity to learn from outside consultants and educational sessions that are hosted by community members. 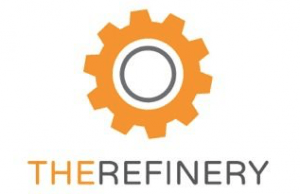 This opportunity for female founders is based in North Alabama, serving as a regional hub for women who have an interest in technical assistance services. You’ll also receive business counseling, training, mentoring and technology transfer counseling as part of the services provided. Although there are no primary requirements with this opportunity, the assistance program does have an industry focus requirement. Your business must generally fit into the industries of cybersecurity, energy, defense, or aerospace to be accepted into the program. There is a microloan program that helps to partner small businesses with the program aids they require. You’ll also get information about how to do business with the government in these specialized industries. With this information in-hand, you’ll then be given the chance to market your capabilities to make the biggest possible impact with what you have learned. This resource helps female founders strengthen their business through a series of virtual and live sessions that focus on key attributes. Sessions include financial management, leadership, employee development, technology improvement, sales, and marketing. To participate in this program, you must be a registered Allstate supplier. This program is primarily geared toward helping women who are veterans or members of the LGBTQIA+ community. It is a way to introduce business leaders to the relationships they’ll need to grow their business, including the chance to build relationships with the prime suppliers who are part of the Allstate network. Allstate does not offer this program every year, so be sure to check with the company about the status of their mentoring program if you are interested in this opportunity. This opportunity provides formal matchmaking events each year that are officially sponsored by the Women’s Business Enterprise National Council. It is designed to help corporate and government representatives connect with each other in a meaningful way. The location and time of each matchmaking event may vary, so you’ll need to check with the sponsor as part of the registration process. You must also be certified as a Women’s Business Enterprise through the association to participate and have your company profile filled out, with a capability statement, before the advertised deadline for the next event. In 2016, more than 1,200 1:1 matchmaker meetings were held between members and government officials, with even more expected in 2019 and beyond. 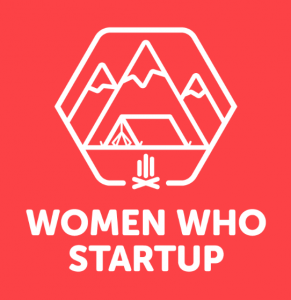 There are some incredible resources out there for women who want to get involved with a startup or entrepreneurial activity. Many of these resources focus only on women and what their unique needs happen to be. Heidi Zak, who is the Co-Founder and Co-CEO of ThirdLove, suggests that women need to look beyond women-only resources. Zak points out that there are two specific reasons why she feels this way. 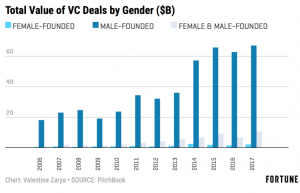 There is more than one gender in the world today and most venture capital firms are headed by men. 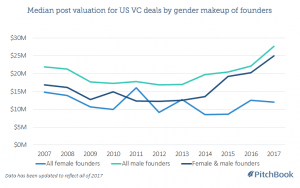 Loretta McCarthy, who is the Managing Partner of Golden Seeds, notes that there were 78,000 women who self-identified as being angel investors in 2017. Stengel says that the challenges faced by female founders is an opportunity to find the success you want. Kira Makagon, Executive VP of Innovation at RingCentral, takes this idea a step further. “Reaching pay equity and leadership parity doesn’t have to mean playing by men’s rules,” she writes. “A rising tide lifts all boats. Let’s start working together to create cultures where all employees, regardless of gender or any other difference, can work together and not against each other. How Far Do You Think You’ll Be Able to Go? Amy Jadesimi suggests that the glass ceiling is cracked, but not broken. Stephanie Chung suggests women must do more than find resources that will help them to find success. She wants you to be bold. Monica Zent, who is an attorney and entrepreneur, says that you shouldn’t accept being labeled. Ultimately, how far you are able to go will depend on how far you are willing to go. You must be able to take risks. You must find the resources that will make your business effective. Then you must keep going. Great ideas can turn into incredible business opportunities. More women than ever before are using their creativity and innovation to establish businesses, create jobs, and make a positive economic and environmental impact while following what they are passionate about. To build your business, you must have access to resources. Some women have access to their own resources and are able to do incredible things with what they have. Some women need a little more help. That’s what these amazing resources may be able to provide for you. Select the programs or funds which make sense for your business. Make sure you get any necessary applications in before the program’s deadlines are reached. Remember to talk with your community leaders as well. Many communities have support systems which female founders are able to access as well. Then be persistent. Don’t give up on your dreams, even if it seems there is a ceiling above your head. Ceilings, glass or otherwise, are meant to be broken. You might as well be the person who shatters it.